While whey, casein, and egg protein powders are great for giving your body the amino acids and nutrients it needs to stay lean and healthy, they’re not the only game in town. Believe it or not, there is an animal product free protein powder that works great too. I’m not talking about soy protein either. We both know that it is a bad choice for many reasons. The product I’m referring to is pea protein powder. Extracted by a special process from yellow peas, it has many benefits that make it worth drinking. In this article I list the greatest benefits of pea protein powder to show you that whey, casein, and egg proteins aren’t your only choices. The best supplement that uses yellow peas as its primary source of protein is MRM Veggie Protein. Every scoop contains yellow pea protein along with several other sources. This ensures that your body gets every amino acid it needs to be strong and healthy. Veggie Protein is a complete meal replacement supplement. In addition to 22 grams of protein per scoop you also get whole foods based vitamins and minerals which gives your body the equivalent of 7 servings of fruits and vegetables. Added essential fatty acids from hemp and flax seed round things out to make this hands down the best pea protein powder. Only 3.5 grams of net carbohydrates in every serving. 4 grams of fiber per scoop. Has 22 grams of protein per scoop. Digestive enzymes to help your body digest and utilize every nutrient. Comes in a delicious chocolate and vanilla flavors. 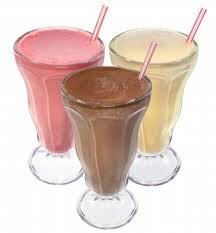 Mixes easily in about 12 ounces of water in a blender or shaker bottle. Gluten, lactose, and soy free. You can buy MRM Veggie Protein from our store. Now you know the top 10 benefits of pea protein powder and which product is best. Whether you want to simply give yourself a break from other powders or need to avoid them altogether, pea protein is a great choice.